Atlético Mineiro 8 Units Party Hat More info. Produced by Festcolor, Atlético Mineiro's birthday hat is the right request to decorate the birthday party in the smallest details. The piece is made of sturdy paper and has an elastomer band, preventing the hat from leaving. 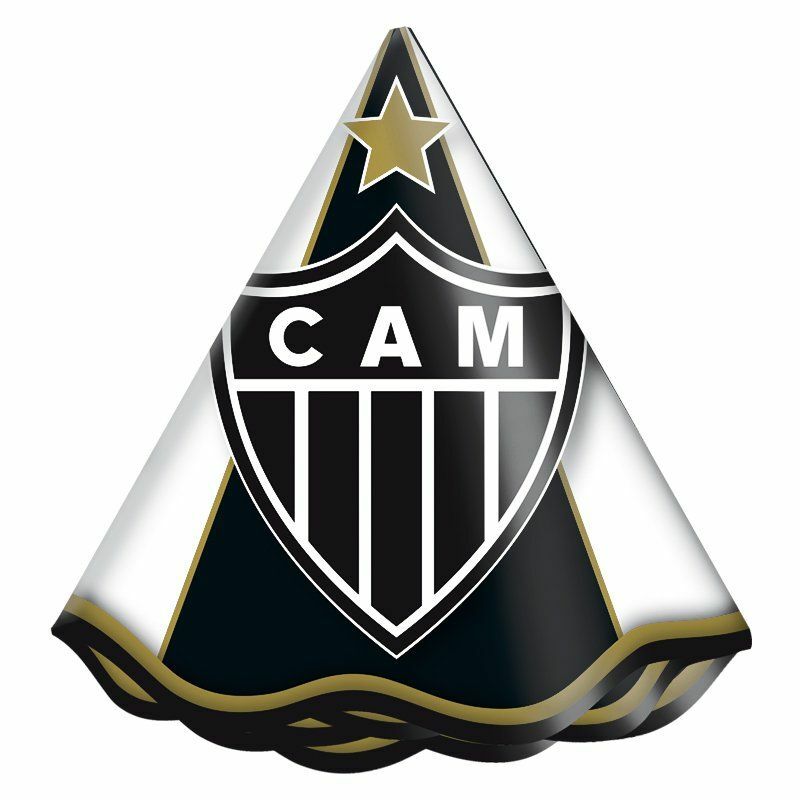 The piece has a cone shape and brings the team colors, featuring black and white bands interspersed with each other, in addition to gold details, player image and shield of the featured team. Finally, it has 8 units. Get it now!